Dairy has already been covered in another article, but it’s such a constant bone of contention in the Paleo world that it’s worth revisiting. Some people avoid it like the plague; other people eat butter but not milk or yogurt; other people consider it one of the most nutritious foods they consume. As usual, there are no easy answers. 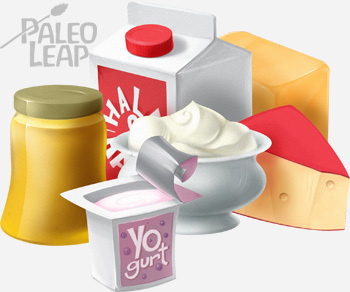 Dairy is a Paleo gray area food – some people advocate it; other people advise against it. There’s no need to eat any dairy food to get all your nutrients in; you can have a perfectly adequate diet without it. 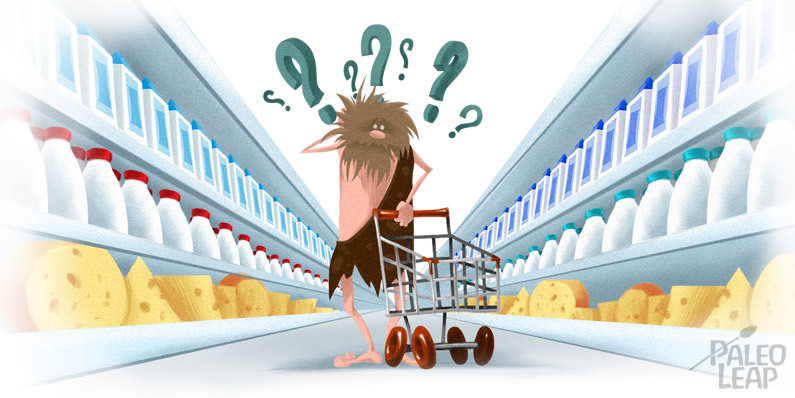 Some people react very badly to dairy, and doing a Paleo-style elimination can help them figure that out. But on the other hand, dairy is awfully tasty, and if it really is a healthy source of fat, protein, and micronutrients that doesn’t cause any health problems, avoiding it seems silly. So here’s some basic information to help you figure out what works for you. So, does that make dairy a “good” food for you? Not necessarily. Remember: this is just the case for why we shouldn’t dismiss it out of hand. For each individual, dairy is really a matter of personal tolerance. Now it’s time to look at the pros and cons. Important nutrients like calcium, phosphorus, selenium, and Vitamin K2 (only if it’s grass-fed). Healthy saturated fats, including conjugated linoleic acid. Relatively cheap and readily available (even if you can’t get other pastured meat, you can usually get pastured butter). Lactose, a carbohydrate in milk that many people have trouble digesting (although not all dairy products contain lactose). Casein and other dairy proteins, which many people are allergic to. The ability of the protein (especially whey) and carbohydrates in dairy to cause a fairly large insulin spike. As well as the metabolic consequences, this can cause acne in people who are sensitive to it. The various growth-promoting properties of dairy. This can be great if you’re trying to grow (e.g. a baby cow, an athlete putting on mass), but not so good if you’re trying to lose weight. Here’s how the different forms of dairy foods stack up when it comes to these pros and cons. Type of Dairy Micronutrients provided (in significant amounts) Fat, protein, or both? Lactose? Probiotics? Ghee Almost none. Fat only. *Since dairy fat is one of the major benefits of eating dairy in the first place, it makes no sense from a Paleo perspective to eat low-fat dairy like skim milk or fat-free yogurt. Looking down the chart, you can see for example that someone who has trouble with lactose might do just fine with butter and ghee, or even yogurt. 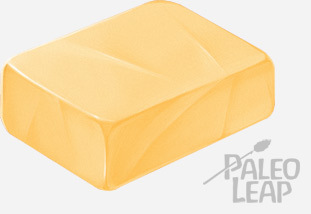 In fact, butter and ghee are the most widely tolerated forms of dairy, since they’re essentially pure fat, with very little protein or lactose to cause any reactions. This minimizes potential insulin spikes as well. Even people who can’t handle other forms of dairy can often cook with ghee. Many people also have better luck with sheep or goat dairy than cow dairy, because the casein is different and less allergenic. Other people swear by raw milk over pasteurized, even though there’s no hard evidence that it’s actually better. In randomized controlled trials, dairy fat was effective at reducing body fat while maintaining lean mass (muscle). In one study, eating dairy foods reduced markers of inflammation. There’s no evidence that the saturated fat in dairy foods increases the risk for heart disease. Some dairy foods have a neutral effect; others actually reduce the risk. There is evidence that substituting refined carbohydrates for fat increases the risk of heart disease and metabolic syndrome. There’s no evidence that dairy foods increase cholesterol – in fact, the fermented ones like yogurt seem to lower it. Dairy helps to reduce blood pressure. Exciting news, not just because of the dairy, but because it sure looks like the first step to admitting that saturated fat really isn’t that bad. Just to reiterate: dairy is a gray area. That means it’s not universally well tolerated, and not right for everyone. Plenty of people feel better without it. If that’s you: great! Eat some sardines and leafy greens to get your calcium, find another source of the good fat, and don’t worry about it. On the other hand, if you do tolerate dairy well, it’s something to consider. For most people, a good basic plan is to do a 30-day elimination and see how you feel. Then try re-introducing dairy one food at a time to see what you can tolerate. For some people, that’s nothing. Many people are fine with butter and ghee; you might even be able to handle more, at least in small amounts. Do what works for you. If that means no dairy at all, there are plenty of other options. If that means dairy is OK – well, enjoy your cheese!